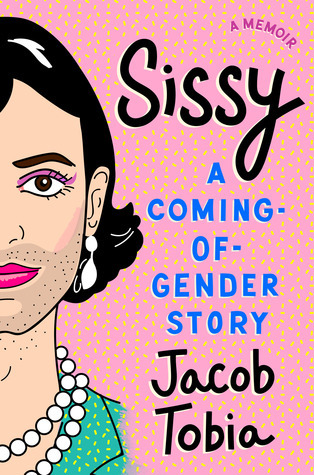 Jacob’s memoir is fantastic—equal parts hilarious and moving. A must read. It was fun and it had a lot of great things to say, but I felt as if the snark ruined a few moments that had the heft of history behind them -- i.e. a few moments seemed to speak to the more personal image of Tobia and not necessarily to the trans community at large. REGARDLESS...it was a powerful story with -- for this LGBT Raleighite -- a number of personal connections. I requested that my library purchase this memoir and I so hope that others find it helpful and enlightening. For me, I realized about 40% of the way into the book that I just don’t *like* Jacob: I found them unrelateable and overly self-centered. I had hoped to find some wisdom to move forward in better understanding my gender-fluid or gender-nonconforming friends and compatriots, but I just didn’t. Here’s hoping you love it. Speaking of Chicago... I did a bulk of my time reading this book in public at Schuba’s back to back days prior to a show and two different Dark Matter locations. Reading and just holding this book prompted questions from others who were curious about the book’s subject material. This led to some engaging and comforting conversations with some fellow que Glitter Kisses! Speaking of Chicago... I did a bulk of my time reading this book in public at Schuba’s back to back days prior to a show and two different Dark Matter locations. Reading and just holding this book prompted questions from others who were curious about the book’s subject material. This led to some engaging and comforting conversations with some fellow queers!!! Reading this book was very enjoyable and very comforting. There were several chapters and passages I’d immediately reread as Tobia was discussing situations I had experienced myself or if I hadn’t I was still engaged and interested that much that prompted a rereading. For example, I read the introduction like five times before actually moving onto the “manifesto”.